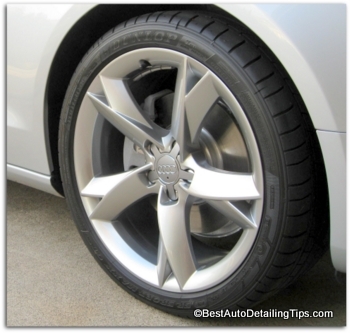 Cleaning alloy wheels: Learn what you are not being taught! 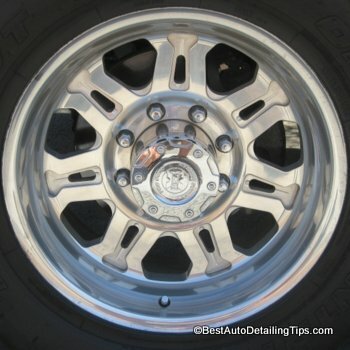 Cleaning alloy wheels is a complex subject that is typically over-simplified. The good news is that the wheels of today are far easier to clean and maintain than the wheels of the past. Alloy wheel cleaning is also an area that is generally oversimplified to the point that most people still don't understand the basics of cleaning, maintaining, and polishing. My goal is to lay out the critical information you need, without putting you into anxiety mode with too much information that is not necessary for your success whether you are cleaning alloy wheels, alloy wheel polishing, or alloy wheel restoration. This is a common question that has so many problems right from the start. Both the terms ALLOY and STEEL are massive generalizations. And in many ways, they are one in the same. Let's dive into a Q. and A. to answer the essentials and get you started to getting what you really want: clean alloy wheels. In a simple definition, alloy is any combination of two or more metals. Steel is an alloy itself; a mixture of two or more metallic elements: one non-metallic, with one metallic element. Steel will generally and most commonly be fused with carbon; thus, making it an alloy. Q. Why does the difference even matter? In many ways it doesn't when it comes to modern day cars, as most cars come with what is generally just referred to as alloy wheels. (alloy wheels sound much cooler than just saying wheels.) Alloy wheels are made of an alloy of light metals: namely aluminum, nickel, or magnesium. Virtually every car produced today will either be a painted and clear coated alloy wheel. 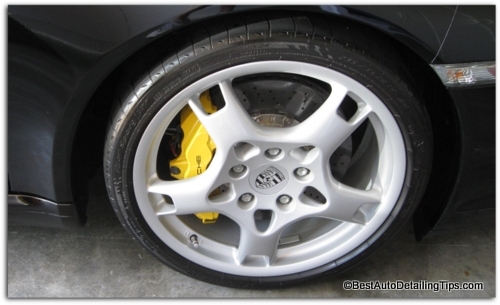 If you purchased a severely basic, entry level car with very few options, you may have steel wheels with plastic hub caps. 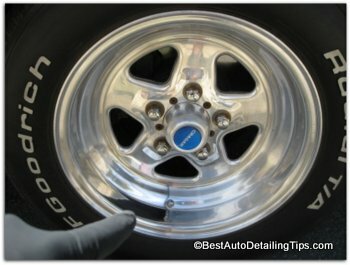 Regardless of whether you have clear coated or plastic hub caps, cleaning your wheels can be done using the same cleaners, wheel brushes, and methods. 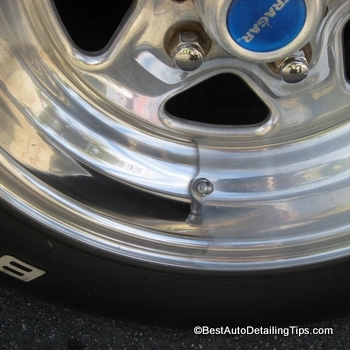 If you are to follow my link on cleaning your car wheels, you will see an extensive write up with many examples of the many types of wheels as well as the chemicals, tools, and methods. But when it comes to cars, often you will go in search of the best mag wheel polish, the best wheel polish, or the best chrome polish. Not all mag wheels, aluminum wheels, or chrome wheels are created equal. The quality of the wheel or the chrome plating itself will be as big a factor in results despite your final selection as to the best wheel polish. Any metal polish, mag wheel polish, or wheel polish in general will work on any wheel or metal polishing you want to do. Understanding the way in which a wheel is manufactured, the grade of metal/aluminum itself, will have a massive impact as to the results you will be able to achieve. Cast Aluminum Wheels: These are very common and represent the lowest quality of wheel. They can be polished to be made shiny; but they are never going to look like chrome when you polish them. The cast alloy wheels above represent the first offerings into the car world from back in the 60's and 70's. They are easier to manufacture and cheaper to sell. 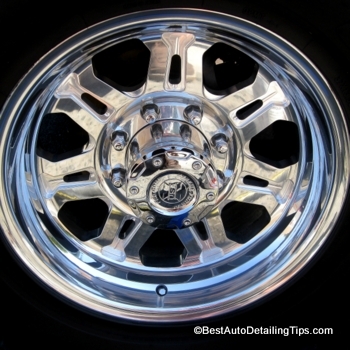 They also will not shine up to the same level of shine as the billet aluminum wheels pictured below. Many inexperienced people would actually look at the billet alloy wheels above after I did the alloy wheel cleaning and polishing and think they were actually chromed wheels. But these type of billet aluminum wheels are far more expensive than any of the cast aluminum wheels that you would normally buy. If you are willing to take the time and effort to polish, any pre-cleaning will simply be removing superficial dirt from the alloy wheel prior to actually polishing it. 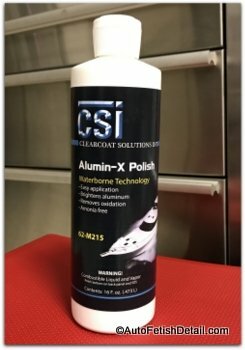 There are chemicals you can use to pre-clean or etch the aluminum prior to polishing them, but in most cases I do not recommend this for beginners due to certain risks. based on my personal and professional experience, it seems that everyone is forever looking for the Holy Grail of alloy wheel polish, aluminum polish, or chrome wheel polish. It is almost as prolific of a question as the endless "what is the best wax for my car question"! It would appear that nobody will ever be happy until science finally develops a self-polishing chrome or mag wheel polish. So far I have not seen one yet. As versatile as a metal polish as you can get. For use on all your automotive and marine applications. The actual metal polish I carry with me in my professional world. Ammonia free formulation without heavy solvents and harsh detergents. Controlled Abrasive Technology (CAT) made with nano-emulsified controlled abrasives that are superior to outdated Diminishing Abrasive Technology (DAT). 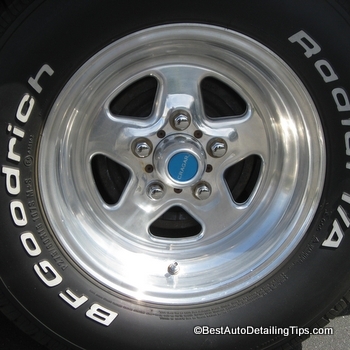 Perhaps some day we will all have the fortune of an advanced wheel polish that will come with a little genie that pops out and does all the endless rubbing for us. We simply sit back and watch that little guy go to town and we get highly polished mag, chrome, or aluminum wheels. But that day has not arrived. In the meantime, any chrome wheel polish or aluminum polish you choose is going to require some work and effort on your part. But like every other area of life; not all things are created equal. With that said, you might as well pick a product that will frustrate you as little as possible.